The question of which metric to use to assess oil market balances figured prominently in OPEC discussions on the opening day of the organization’s 7th International Seminar in Vienna on June 20, and on the previous day at a planned meeting of its Joint Technical Committee on the oil market. Kayrros was invited by the Secretariat to attend the International Seminar. Far from being purely academic, the question of market metrics has practical implications as OPEC and Russia consider whether to extend the nominal 1.8 million b/d aggregate production cut that has been in effect since January 2017, or ramp up output as requested by the Trump Administration. The official rationale for any decision to be announced on June 23 will hinge in part on the perception of market balance – or imbalance – which itself depends in part on the choice of market metrics. OPEC countries that are currently of two minds on production cuts are stating their disagreements in metrics terms. 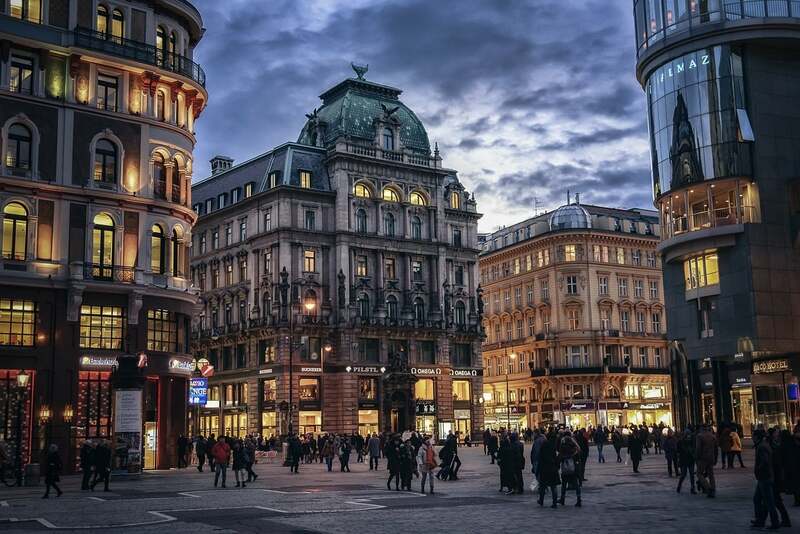 As of midday Thursday, Day Two of the International Seminar, the buzz in Vienna was that an accord was emerging among OPEC oil ministers for a nominal increase of 1 million b/d, to be allocated pro-rata among member countries, perhaps in two stages. At a special session of the Seminar Thursday morning, Saudi Oil Minister Khaled al Faleh made the case for a robust increase, arguing that supply/demand balances (a different metric than inventories) pointed to a 1.6-1.8 million b/d deficit in 2H18, given that strong demand was inelastic and already “baked in” the market. This bullish view, however, did not explicitly account for inventories, the level of which can significantly alter the perception of what constitutes adequate production: just as excess stocks in effect constitute a readily available source of supply, depleted inventories conversely fuel pent-up demand for storage once prices allow for rebuilding. When initially agreeing on the production cuts, the organization had given itself the goal of bringing OECD crude oil inventories back down to their five-year average. Now that that's done, doubts are mounting as to whether that is the right benchmark. At the start of a panel discussion among eight prominent consultants and academics on "Global Oil Market Balance Metrics" an informal poll conducted by OPEC showed that 69% of the audience thought the five-year average of OECD commercial stocks was insufficient to measure the balance of the market. Ninety minutes later, a repeat poll showed that percentage had climbed to 87%. While there is a broad consensus that the five-year OECD average doesn't do the trick anymore, experts seem at a loss for substitute indicators. Other proposed "metrics," none of which attracted broad support in isolation, included global supply/demand balances, global inventories, global investment, the forward curve and companies' financial performance. Remarkably, most panel participants dismissed global inventories out of hand as irrelevant, on the grounds that non-OECD inventories, notably those in China, are not sufficiently transparent. While that was certainly a valid point two years ago when the cuts were agreed, that is no longer the case. All the points were once relevant but are now obsolete. Publicly available measures of OECD crude stocks show inventories back at five-year levels but are severely lagged and only capture about half of the global market. In contrast, Kayrros up-to-date measurements of global crude inventories show stocks have retraced some of their draws in the last two months, a blind spot in the official rear-view mirror. OPEC is under pressure from Washington to ramp up output. Washington's exit from the JCPOA calls for the re-establishment of sanctions on Iranian oil exports, a point of contention among the P5+1 signatories of the original sanctions implemented from July 2012-December 2015. While the US Treasury has yet to provide guidance as to how oil importers are expected to comply with the unilateral sanctions, international banks and insurance companies, fearful of US fines, are already making it difficult for importers to insure and finance Iranian cargoes. Iran exports already show signs of rapid declines. The Trump Administration is palpably anxious at the thought of rising gasoline prices during the mid-term elections. Meanwhile, Russia, whose participation in the OPEC cuts had been hailed by the organization as a historical rapprochement, has reportedly also been pushing for a production hike. Many capacity-constrained OPEC producers see things differently, however, and on the face of it would have little to gain from an increase in which they would be unable to participate. Iran is understandably wary of competitors taking advantage of the sanctions to grab its market share. PrinceAbulaziz and UAE Oil Minister Suhail Mohamed Al Mazrouei, the current president of the OPEC Conference, promised that the organization would unveil by the end of the week some kind of permanent formalization of the OPEC-Russian alliance, which OPEC is desperate to preserve, in particular Saudi Arabia and the UAE. But while Russian and OPEC oil interests may in fact be more aligned than at any time in history, Moscow appears singularly uninterested in any public, long-term commitment of solidarity with the producer organization. Russia typically keeps its cards close to its chest and leverages its decisions for maximum benefit. Listening to the discussions at the conference, it is hard not to be struck by the contrast between recent advances in market transparency provided by satellite imagery and the lingering feeling of uncertainty over market conditions among participants. The risk is that by agreeing on a production hike at a time when the rebalancing has already run its course, OPEC could overshoot and squander the fruit of two years of production cuts. Granted, Kayrros global inventory measurements only capture crude stocks and do not yet include products. In theory, the rebound in global crude stocks captured by satellites in May and June could be less bearish than it seems, if it had been due to refinery maintenance rather than a slowdown in demand or an excess of supply. In that case, however, product stocks would have been expected to tighten, lifting product prices relative to those of crude and boosting refining margins. In fact, global refining margins have been rather tepid of late. That is hardly the sign of a tightening market. Then again, steep cuts in Iranian oil exports, compounding the effect of new production losses in Libya and Venezuela and looming bottlenecks in Permian takeaway capacity, could soon change that. This year's OPEC International Seminar has reportedly attracted the largest group of participants in the organization's history. Day one of the event was extraordinarily heavy on pomp and ceremony and tightly scripted, with virtually nothing left to Q&As and improvisation. Even the journalists had to submit their questions in writing in advance. Both Saudi Oil Minister Khalid Al-Falih and Russian Oil Minister Alexander Novak, which had been scheduled to speak in the opening session, were represented by stand-ins, Saudi Minister for Energy Affairs Prince Abdulaziz bin Salman and Russian Deputy Energy Minister Alexey Teksler, respectively. The International Seminar, a major production held once every three years, and the JTC meeting will be followed by two back-to-back events due to set the course of OPEC production for the next few months, the 174th Meeting of the OPEC Conference, to be held on Friday, June 22, and the 4th OPEC and non-OPEC Ministerial Meeting on Saturday, June 23.